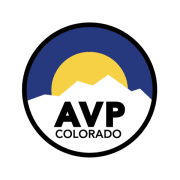 AVP Colorado is dedicated to empowering people within the criminal justice system in Colorado to make positive life changes for the betterment of themselves, their families, and the community at large. For more than thirty years, AVP Colorado, formerly the New Foundations Nonviolence Center, has helped people in Colorado prisons and communities transform their lives. Through Alternatives to Violence workshops, we give people the tools they can use to learn new ways to communicate and resolve conflict without resorting to manipulation, coercion, or violence. Would you recommend AVP Colorado?